Think Pink with Hurst Fine Diamonds. Authorized Novell wedding band retailer Hurst Fine Diamonds (located in Lawrence, Kansas) will donate proceeds for each featured Think Pink item sold during the 2011 Breast Cancer Awareness Month. 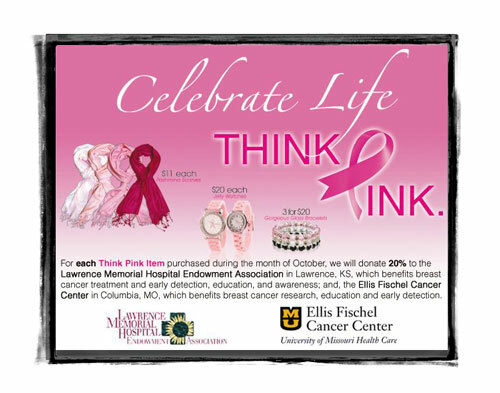 20% of every Think Pink item’s price will be given two local charities – The Lawrence Memorial Hospital Endowment Association and The Ellis Fischel Cancer Center. The Lawrence Memorial Hospital Endowment Association benefits breast cancer treatment, early detection, education and awareness, while The Ellis Fischel Cancer Center is one of the most comprehensive health-care networks in Missouri. Think Pink articles available to buy include $11 pashmina scarves, $20 Jelly watches, and fabulous glass bracelets (three for just $20). So stop by Hurst Fine Diamonds and support Breast Cancer Awareness Month. Visit Hurst Fine Diamonds jewelry website. LIKE Hurst Fine Diamonds on Facebook. LIKE Breast Cancer Awareness Month on Facebook. JG Kronenberger celebrates Mother’s Day all May! Authorized Novell wedding band retailer JG Kronenberger is celebrating Moms all month long. 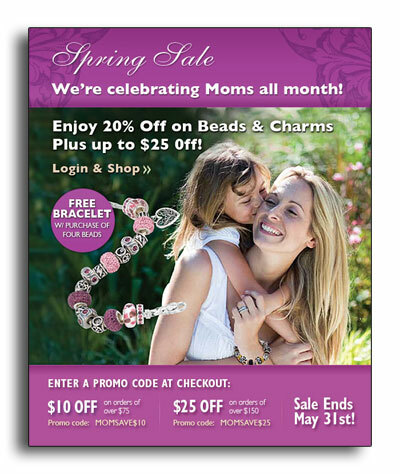 You can take advantage of a 20% discount off of their beads and charms, get $10 off an order over $75 and $25 off an order over $150 (with specified promotional codes). JG Kronenberger’s Spring Sale ends May 31st, 2011. 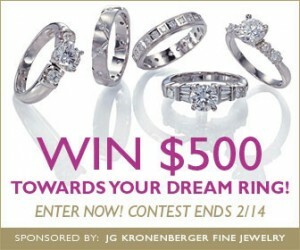 Shop for jewelry at JG Kronenberger.com. “Like” JG Kronenberger on Facebook. 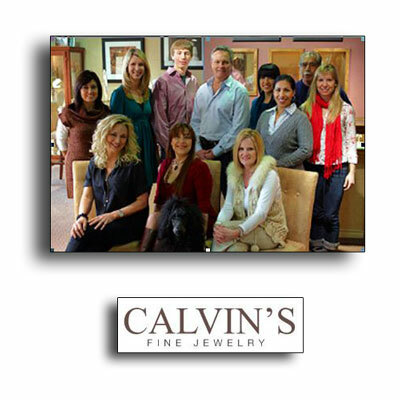 Visit Calvin’s Fine Jewelry in Austin, Texas. Authorized Novell wedding band retailer Calvin’s Fine Jewelry, established in 1997, is a locally owned and operated family business deeply rooted in Austin, Texas. Calvin Smith has over 30 years’ experience in the jewelry industry and has built his store with commitment to integrity, quality, and customer service. Calvin’s Fine Jewelry has recently been voted “Best Jeweler in Austin” on Citysearch.com. If you have any questions, please call Calvin’s Fine Jewelry directly at (512)794-1911. 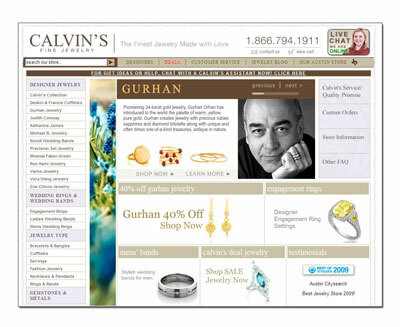 Or e-mail them directly via customerservice@calvinsjewelry.com. You can also visit Calvin’s Fine Jewelry on Facebook and Twitter. K-Jon’s Ladies Night of Fashion. 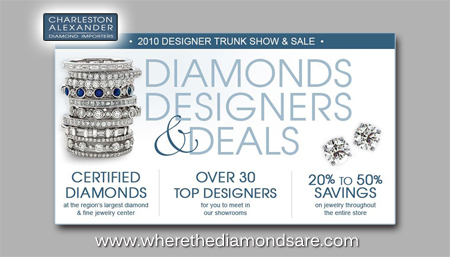 As a special thank you to their best customers of 2010, K-Jon’s Fine Jewelers is hosting an exclusive evening of fashion. Along with gorgeous jewelry featured in K-Jon’s showcases, designs courtesy of Kelley’s Casuals, C Abi and Bella Cose kitchenware will all be highlighted as well. The even takes place on Thursday, November 4, 2010 at 6:00 PM. Please note – an RSVP is required by October 28, and can be e-mailed to pam@kjons.com. 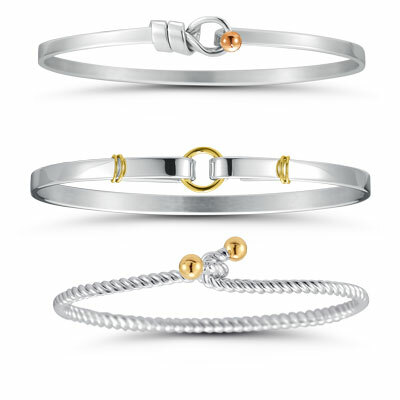 You can also win one of these bangle bracelets especially created in Argentium Sterling Silver and 14kt gold. 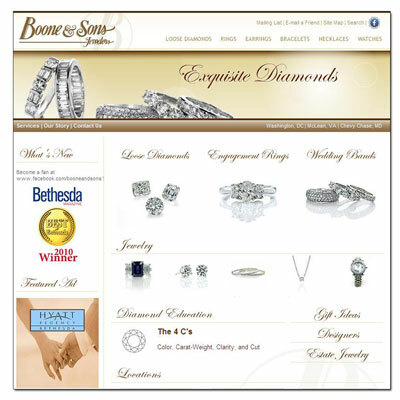 Atlanta’s Solomon Brothers is an authorized wedding band Novell retailer. The Solomon Brothers – Ivan, Howard and Anthony – have been setting the exacting standards of customer care for twenty five years. All three Solomon Brothers were raised in Cape Town South Africa. In 1982 after becoming a Certified Gemologist and Appraiser through the Gemological Institute of America, Ivan selected Atlanta as his base of operations. Soon after, his brothers joined him and together they established the finest jewelry business in the heart of Atlanta’s prestigious Buckhead. Utilizing their valuable native connections, they continue to purchase rough diamonds and have the best craftsmen cut and polish these gems to the highest standards of brilliance. 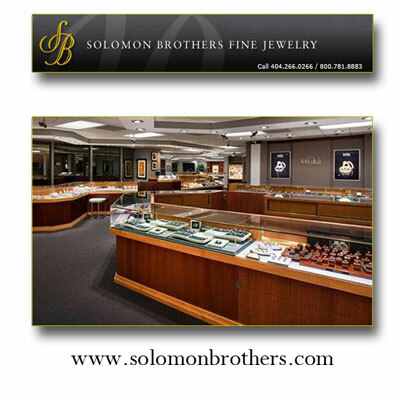 Offering the most competitive pricing is what defines Solomon Brothers as one of the most well respected jewelry companies. The Solomon Brothers pledge “to continue the loyalty we have earned over the past twenty five years, to elevate and enrich your shopping experience, enabling you to rely on our family. 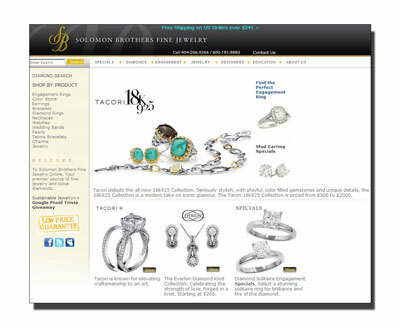 Visit Solomon Brothers jewelry website. Visit Solomon Brothers on Facebook.com. Dallas consumers can buy Novell wedding rings at Bachendorf’s. Dallas jewelry retailer Bachendorf’s has celebrated over 60 years of family jewelry industry tradition in America. In 1900, Russia born Abram Bock began custom designing and manufacturing jewelry in his homeland. He moved to Dallas in 1948 and established a diamond importing and jewelry manufacturing company. The very first Bachendorf’s jewelry store opened in 1977 featuring high quality handmade custom jewelry and an extensive collection of watches. Today, Bachendorf’s continues the family tradition of offering the finest designer jewelry, timepieces, and collectibles. 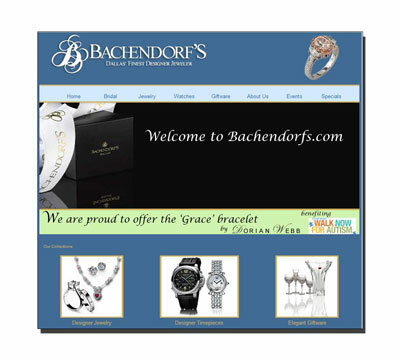 Visit the Bachendorf’s jewelry website. Novell wedding band retailer Barmakian Jewelers. For one hundred years, New England’s Barmakian Jewelers has been helping people select the finest jewelry, diamonds, watches and giftware. Barmakian Jewelers started in Boston in 1910, and today they have expanded beyond their Boston roots to bring an exceptional inventory of diamonds and wedding bands to their customers. Barmakian Jewelers is known for their legendary service, extensive jewelry selection and value that have always been present since the very start many, many years ago. 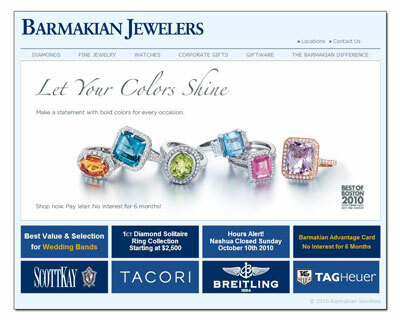 Visit the Barmakian Jewelers website. 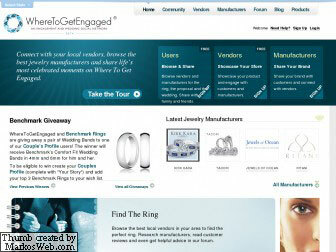 For Novell wedding band retailers – WhereToGetEngaged.com. 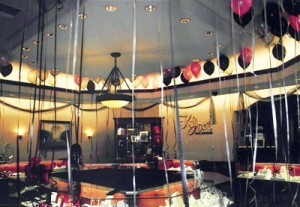 Novell has recently added a profile to a great up-and-coming bridal website – WhereToGetEngaged.com. I am a big fan of this website as it is much less cluttered than TheKnot.com or Brides.com, and they really seem to understand what an advertisers needs are as far as tools for social networking. 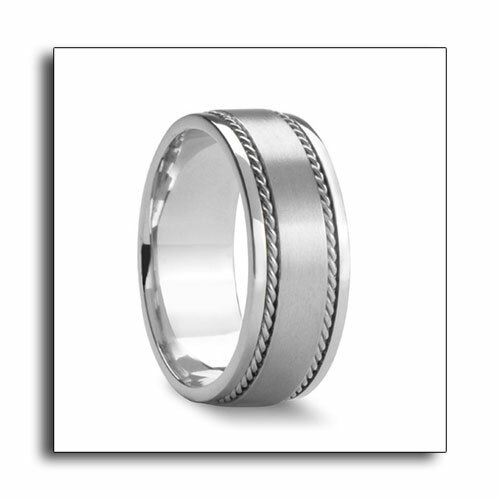 I have added the top wedding bands that Novell will be promoting over the next year. The latest and greatest Novell products, such as TATU wedding bands and our new bridal jewelry collection, will also be added in the near future as well. One nice feature is that retailers can also create a profile, link to Novell as a vendor, and even have the ability to highlight products that are for sale. 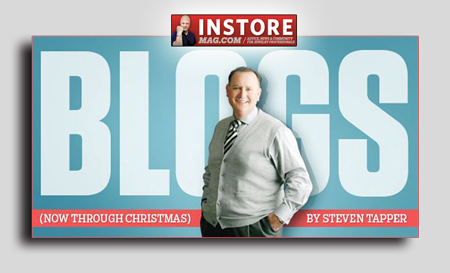 For these reasons, I encourage every one of Novell’s referred retailers to link to us on WhereToGetEngaged.com, as well as our Facebook page, too. 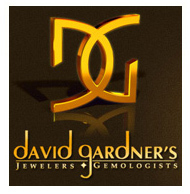 See Novell wedding bands at David Gardner’s Jewelers wedding band event. The wedding planning season is in full swing, so David Gardner’s Jewelers will be holding their Spring Wedding Band Event on April 8th, 9th, and 10th in College Station, Texas. For these three days, David Gardner’s will be offering an incredible selection of wedding bands from all the leading designers – including Novell wedding bands. Just be sure to call 979-268-0800 for your appointment. 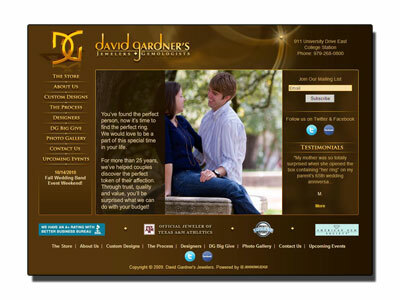 Let David Gardner’s Jewelers uniquely qualified staff help you with these last big steps before your wedding day. Novell Design Studio has prided itself on continually bringing innovation to the wedding band industry. The company currently specializes in customizing its designs to suit individuals’ particular needs, tastes and diverse lifestyles. 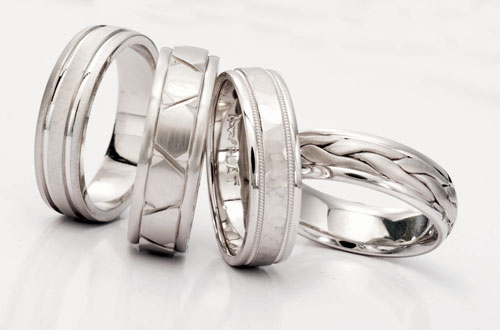 Since no consumer should just have to settle for what is on the shelf, Novell can specially manufacture almost all of their wedding band styles in many variations – wider, narrower, in different metals (platinum, palladium or gold), with different finishes, and much more. Novell wedding bands are sold at authorized retailers nationwide. If you live outside of College Station, Texas, then visit www.novelldesignstudio.com to find the Novell wedding band retailer in your area. 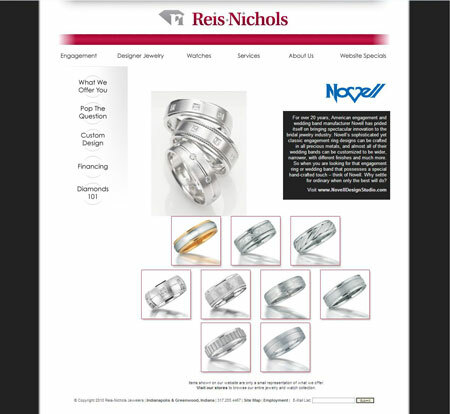 Novell wedding bands featured on the Reis Nichols jewelry website. Reis Nichols, an Indianapolis-based jewelry store that has been voted Best Jewelry Store by Indianapolis Woman Magazine, has just created a new web page dedicated to some of Novell’s best wedding band sellers. 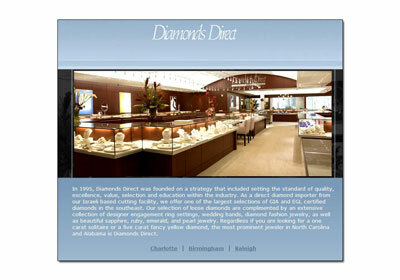 The retailer features some of the leading jewelry designers in the industry, and has their own line of jewelry as well. 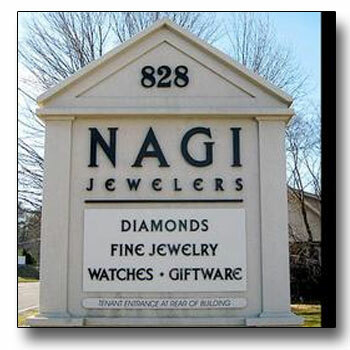 As one of Novell’s authorized retailers for many years, Reis Nichols is a trusted name in Indianapolis jewelry. They also feature some great website jewelry specials. Visit the Reis Nichols jewelry website. Get directions to Reis Nichols. Freedman Jewelers of Boston hosts wedding band show. The Wedding Season has officially begun! 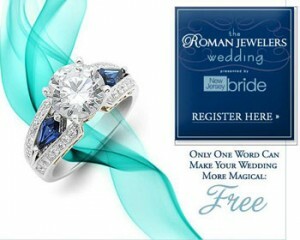 So Freedman Jewelers of Boston cordially invites you to attend their 8th Annual Wedding Band and Engagement Ring Show. Come browse Freedman Jewelers’ extensive selection of diamond, platinum, gold, palladium and tungsten carbide wedding bands. And of course there will be a beautiful selection of new Novell wedding bands for you to view and try on your finger! Hours: Freedman Jewelers will be open on Thursday March 18th until 8PM, Friday March 19th until 6PM and Saturday March 20th until 5PM. Parking is conveniently located at 33 Arch Street. 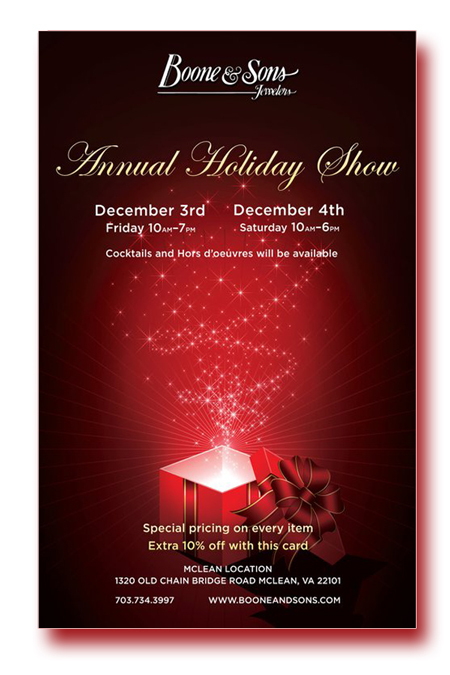 If you have any questions, please call Freedman Jewelers directly at 617-227-4294. 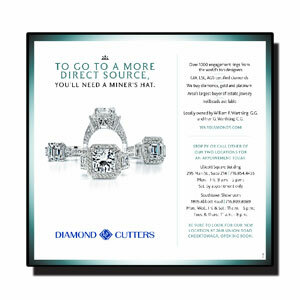 Or e-mail them via freedman.jewelers@verizon.net. Molina Fine Jewelers helps the Arizona Kidney Foundation. Up until March 5th, 2010, authorized Novell wedding band retailer Molina Fine Jewelers will donate 10% of the net proceeds from jewelry purchases made through The Online Boutique at Molina to the Arizona Kidney Foundation. Consumers making a purchase with the charity in mind should please mention the Arizona Kidney Foundation in the gift message area of the checkout process. In addition, Derek Molina (son of Molina Fine Jewelers’ CEO Alfredo J. Molina) will be participating in the organization’s Dancing with the Stars event on March 5th at the Arizona Biltmore Resort & Spa. The Arizona Kidney Foundation’s Dancing with the Stars is a gala event raises much needed money to support improving the quality of life for Arizona’s children and adults suffering with kidney disease. They provide direct financial assistance with life-sustaining medications, emergency transportation, living expenses, and educational workshops and family support groups to help families cope with the challenges associated with this illness. For more information about the event, view the online invitation. And visit The Online Boutique at Molina to buy jewelry and support the cause. The $100,000 Valentine’s Day giveaway. Authorized Novell wedding band retailer Charleston Alexander Diamond Importers (with retail locations in Bethesda, Maryland and Falls Church, Virginia) has the Valentine’s Day giveaway of all Valentine’s Day giveaways. Just take a shot at guessing the last six digits of the secret vehicle identification number (in exact order) and win a ROCK ($25,000 in diamond jewelry) and ROLL (his and her Nissan Passport vehicles) plus $20,000 in cool hard cash. If no one guesses correctly, Charles Alexander Diamond Importers will still award an “Ultimate Romantic Weekend” to whoever guesses the closest. 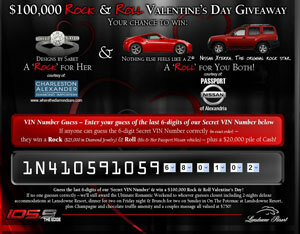 Enter to win the $100,000 Rock & Roll Valentine’s Day Giveaway*. *Contest is open only to the first 5,000 eligible contestants to complete and submit an entry. See Official Rules for complete details. 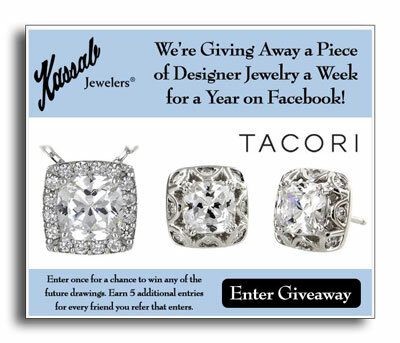 Contest ends February 11, 2010 – so enter now! 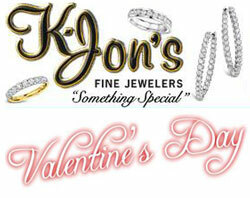 Get a Valentine’s Day deal at K-Jon’s Fine Jewelers. Flowers – Receive a beautiful bouquet from Arlyne’s Flowers and Gifts in Atascadero. Chocolates – Give your valentine a luxurious 1-lb. box of See’s Chocolates. Dinner – Receive a $10 gift certificate to the Guest House Grill in Atascadero. Beauty Treatment – Luxurious treatments for your hair and skin at Brooke Nicole Studio. Wine – FREE wine tasting from Bear Cave Cellars, plus $10 off a bottle of wine or 20% off entire purchase. Candy – Receive a chocolate rose from The Candy Bouquet, plus $5 off any purchase of $10 or more! 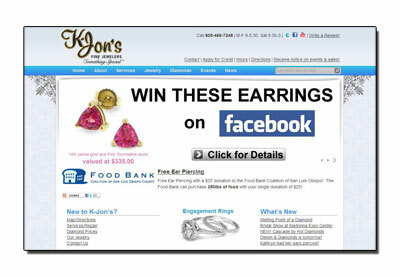 Learn more about K-Jon’s special events and jewelry specials. Feature about Novell retailer David Arlen Jewelers. 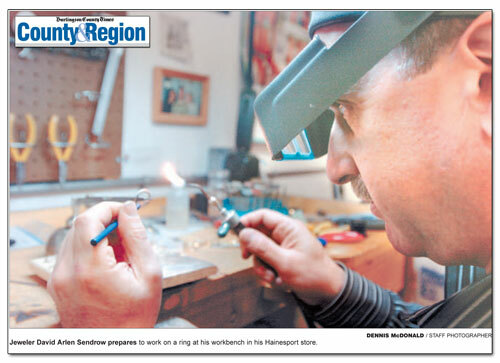 Novell retailer David Arlen Jewelers as featured in The Burlington County Times. HAINESPORT – With Valentine’s Day approaching, love is in the air, especially in a jewelry store where the course of true love often leads. At David Arlen Jewelers, owner David Arlen Sendrow and his staff are busy showing customers their popular diamond hearts and Pandora bracelets. After Christmas and Mother’s Day, the February holiday is their most active. Although he could not have known it at the time, Sendrow already had taken the first step toward what would become his career when he was still in high school. He discovered he had a passion and a talent for working with metals. The revelation came during a class at Cherry Hill East High School. “I loved working with my hands and I loved working with metal, bending it and shaping it,” he said during an interview at his Route 38 store. Even today, given a choice, Sendrow would rather be at his workbench coaxing a new design out of his materials than anywhere else. Clerical work takes up time every day, but at the first opportunity he is at his bench. His career choices did not present themselves overnight. There were detours along the way, but he was always alert to new possibilities and quick to change course when it seemed wise. 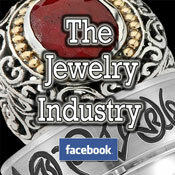 Become a fan of David Arlen Jewelers on Facebook. 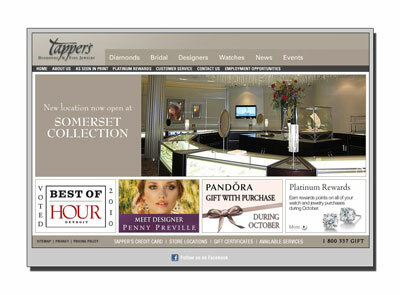 Get directions to David Arlen Jewelers. See Novell wedding bands at Charles Stecher Jewelers. 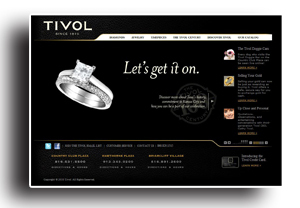 Charles Stecher Jewelers is one of Novell's authorized wedding band retailers. 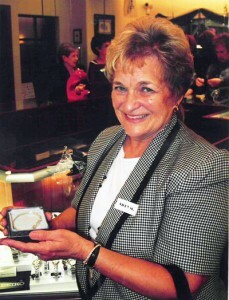 Since 2002, Novell has been a featured wedding band designer at South Jersey’s Charles Stecher Jewelers. 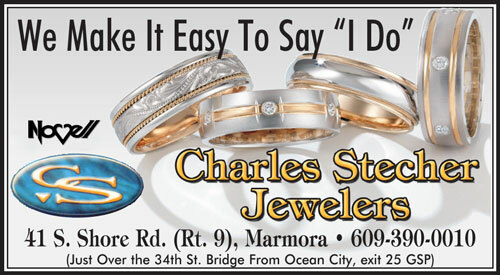 Charles Stecher Jewelers was established in 1955 in Atlantic City, relocated to Ocean City in 1970, and now is located in Marmora, New Jersey. Stecher’s is a full service jeweler featuring engagement rings with GIA certified diamonds from Coast, Levy Creations, and Gottlieb and Sons. They carry a large selection of wedding bands from Novell, including styles created in platinum, palladium and gold. And as an authorized retailer, the store can also order any of our designs in their showcase to be made wider, narrower, in different metals (platinum, palladium and gold), with other finishes, and much more. In addition to Novell wedding bands, a wide variety of bridal gifts are offered at Stecher Jewelers including cake knives and servers. Bridesmaid’s and groomsmen’s gifts can be custom tailored and engraved to make your special day a complete success. So stop in to Charles Stecher Jewelers today to make your wedding plans a pleasant and memorable experience. Security Jewelers has great gifts for Valentines Day. Security Jewelers, one of Novell’s long time and most reputable authorized wedding band retailers, is ready for Valentine’s Day. Let them help you get a jump start on the most romantic of all days with their special collection of Valentine’s Day gifts. Each featured Valentine’s Day items will ship free with guaranteed Valentine’s Day delivery when ordered by Feb. 9, 2010. But hurry! February 14th is right around the corner! 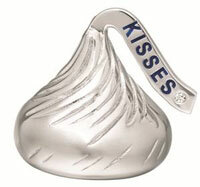 What is more symbolic for Valentine’s Day then a kiss? This perfect replica of a Hershey’s Kiss measures just over half an inch and is made from pure sterling silver with a natural diamond in the plume. The kiss hangs from an eighteen inch sturdy sterling chain. Adorn this necklace around your Valentine’s neck and you are sure to get a kiss of a different variety. And with every purchase, Security Jewelers will include a free tin of actual chocolate Hershey’s Kisses – what a sweet deal! Since the most traditional expression of love is a heart, Security Jewelers features two specially priced hearts that are sure to make a hit this Valentine’s Day. The floating heart necklace features four diamonds and dangles from a sixteen inch sterling silver chain. This necklace, from Hot Diamonds of Britain, also includes a two inch extender. At only $100, you really cannot go wrong. Security Jewelers’ 14kt gold diamond heart contains .15 ct of round diamonds and is an elegant choice for your loved one. At the price of $145, it truly is a great value. Learn more about these gifts here. 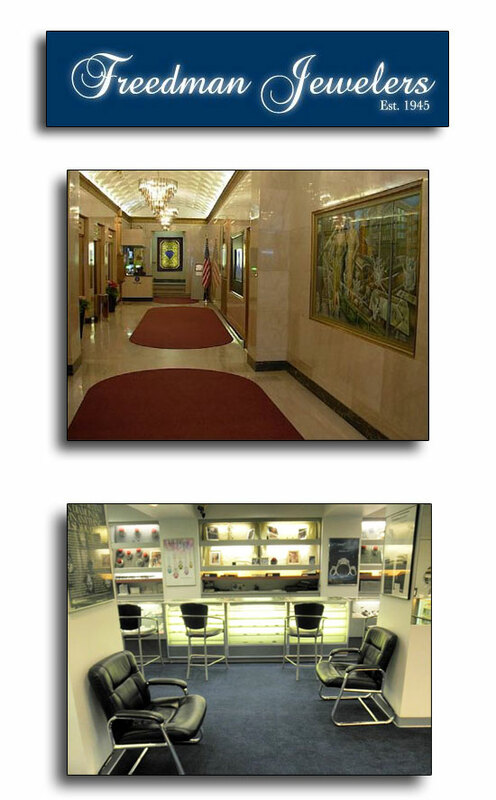 Security Jewelers was founded over 80 years ago by Jack and Jerome Seiler. Although Jack and Jerome are no longer with us, their children and grandchildren preserve the tradition of carrying the very finest in jewelry and gifts, along with the finest service and the best prices. 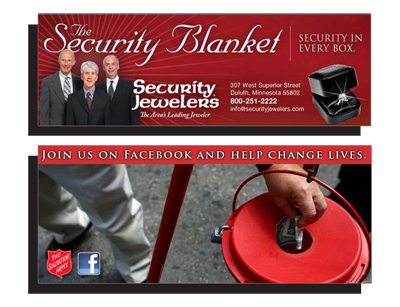 Security Jewelers is located at 307 West Superior Street in Duluth, Minnesota. Visit www.securityjewelers.com for more information. 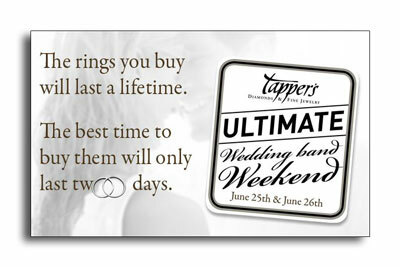 And be sure to ask to see the latest Novell wedding bands while you are there.